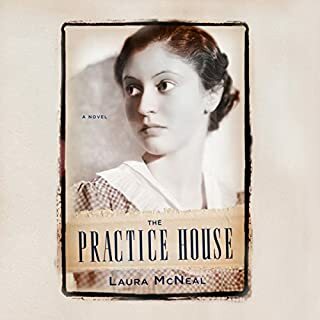 I read this book about ten years ago and really enjoyed it. it was so honest, humble, and informative and entertaining.. if you are looking to hear about back stabbing , and other magazine sensationalism, this is not that book. but, it is full of backstage t.v. and movie history and "little known facts", as well as, how Desi and Luci loved and struggled to establish tv history and the DesiLu Empire. He speaks frankly of the cost of their pioneering efforts on their marriage and their business. 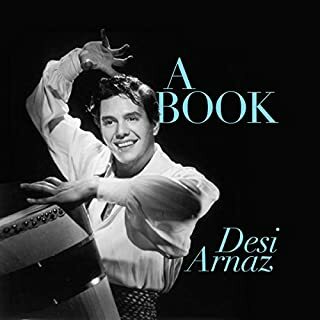 I was concerned that an audio book could not capture the spirit and accent of Desi Arnez. How wrong I was and how pleased I was with the narration of Juan di Pase. This book is entertaining and well worth the credit. check it out. you won't be sorry. This was definitely a suspense novel. I was never certain who would come out of this sorted tale alive. 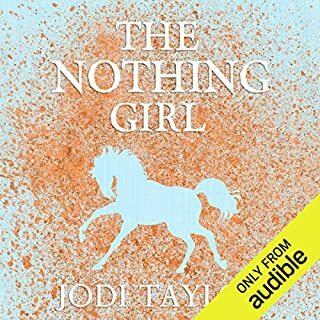 Very entertaining page turner and excellent narrators. 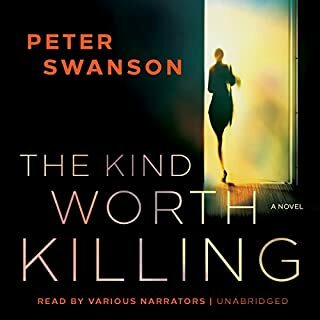 I can't hear another Swanson novel. It is rear to find a novel that is written this well and superbly dramatized. I wish I could give it more stars. It is about the complexity of forgiveness when tragedies are caused by naïve human errors. 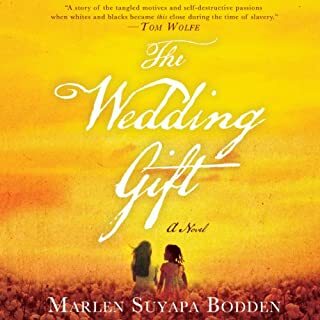 The setting is India and the story takes places from the mid 1900’s to 2007.The stigma of the cast system results in one middle class family’s recklessness behavior, condemning a young girl to a life of imprisonment and prostitution. 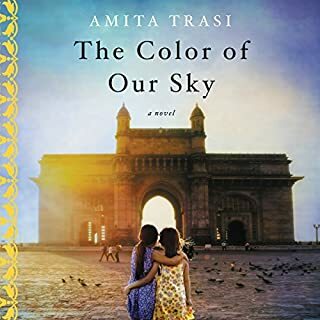 Amita Trasi weaves a cautionary tale that is still true and relevant today. The drama is intriguing, full of surprises. The story is engaging and the readers are outstanding. Bravo! I cannot believe these glowing reviews. In my opinion this was a sweet tale for adolescent girls reading their first romance novels. The protagonist has a Cinderella mentality that renders her helpless, submissive and naïve. This is a superficial romance with almost no physical intimacy, that reminds me of 1920's romance romantic movies. The only thing that kept me listening to this superficial, but cute little story, was the excellent reader. In my opinion this is one of the best novels Boyne has written. He is a master of character development, not only of the protagonist but of all the supporting characters in this intriguing story about a man confronting life's challenges over decades of his life in ways that are tragic, heartwarming, humorous, surprising and always interesting. The reader, Stephen Hogan hits the perfect notes in bringing this novel to life. It should be adopted to film and what a fantastic movie this book would make. Look no further. Don't hesitate. Select this novel. You're in for a treat. 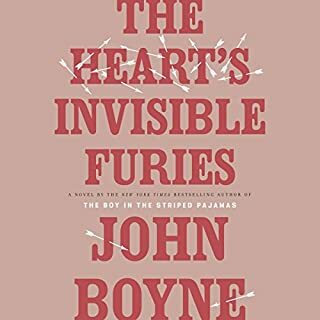 Best-selling author of The Boy in the Striped Pyjamas, John Boyne, is back with his most ambitious novel for adults yet. 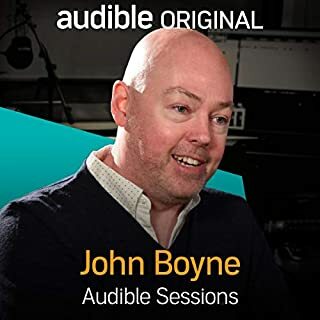 He joins Robin Morgan in the Audible Studios to tell us more. In my opinion this is one of the best novels Boyne has written. 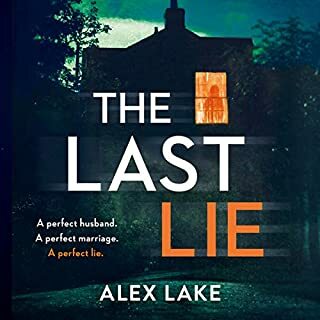 He is a master of character development, not only of the protagonist but of all the supporting characters in this intriguing story about a man confronting life's challenges over decades of his life in ways that are tragic, heartwarming, humorous,surprising and always interesting. The reader, Stephen Hogan hits the perfect notes in bringing this novel to life. It should be adopted to film and what a fantastic movie this book would make. Look no further. Don't hesitate. Select this novel. You're in for a treat. Slavery is a very familiar theme, yet this author has rendered a unique tale that sustains your interest to the very end. My only criticism is that it ends a little too abruptly. 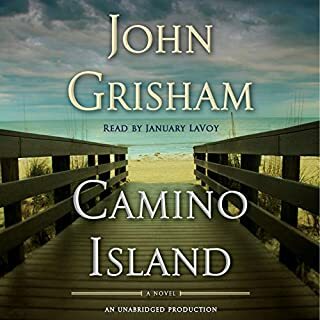 The narrators are superb making this a don't miss novel. Very worth using the credit. there was nothing compelling about the subject or the drama or the reslution. better luck next time..